It’s breakfast time! Today’s breakfast was inspired last night by Molly Wizenberg’s Book A Homemade Life. 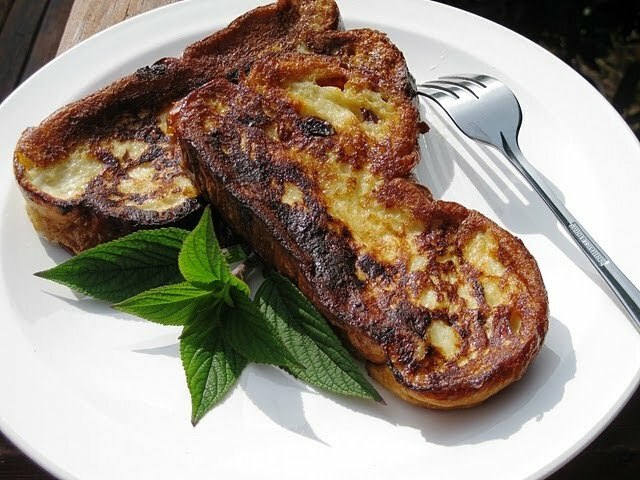 In one of her chapters, Molly talks about her father’s French Toast that was cooked in oil instead of butter. 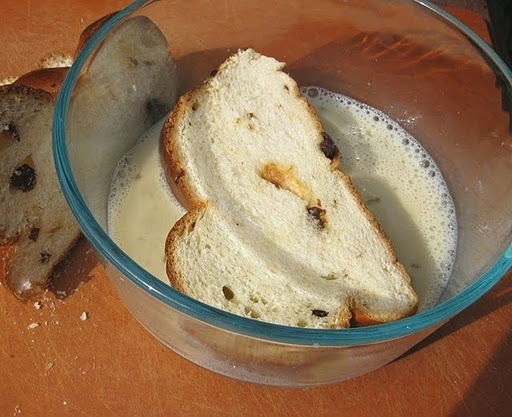 To most people the ban of butter in French Toast preparation might come as a surprise or even shock. But I’m not most people 🙂 Seriously though, I grew up with a father who is “allergic” to the smell of butter (his other allergies include cilantro and lamb). 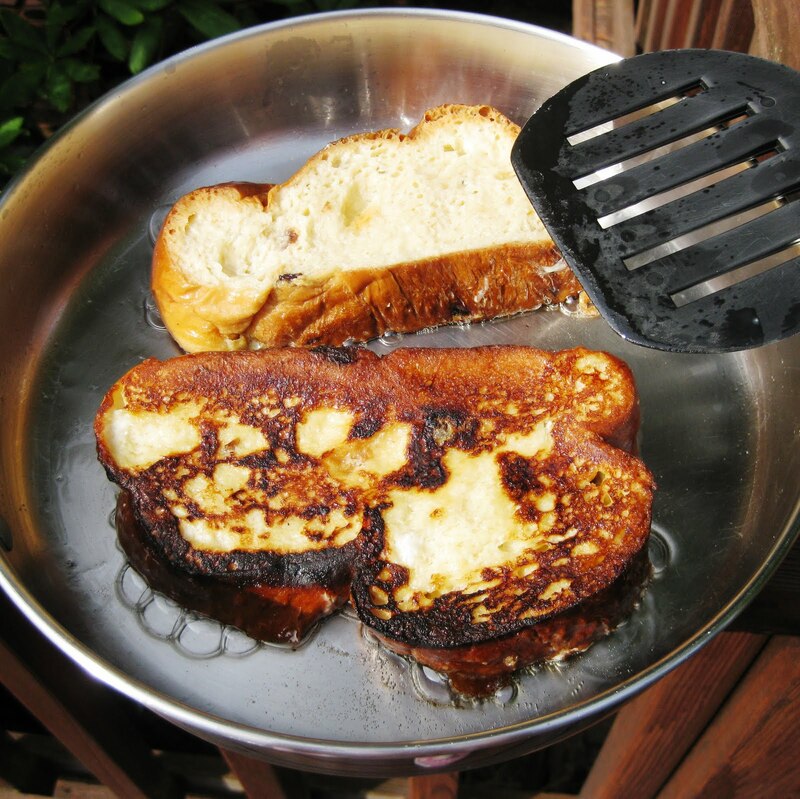 And as such, our French Toast, along with any other sauteing endeavours were prepared using oil. But back to breakfast. 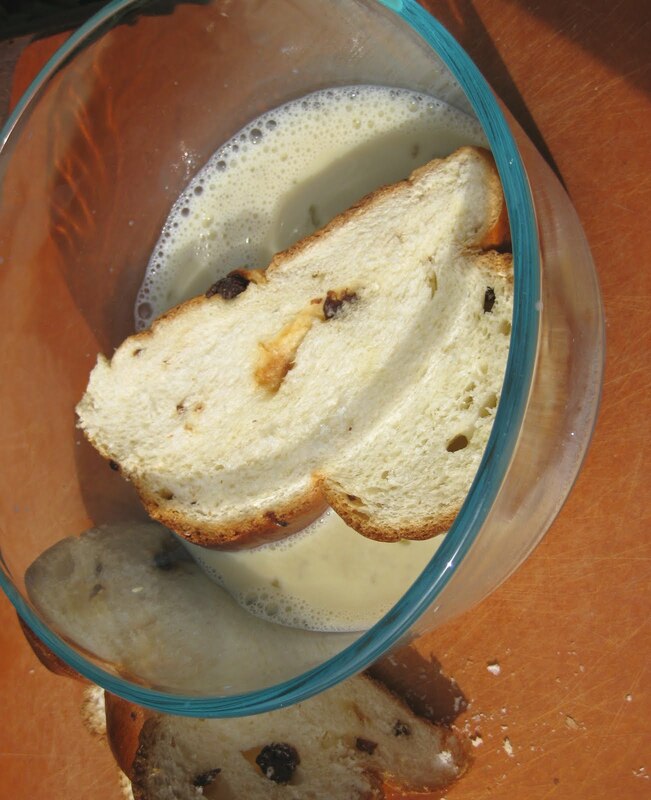 I’ve had French Toast numerous times and wanted try a different approach today. 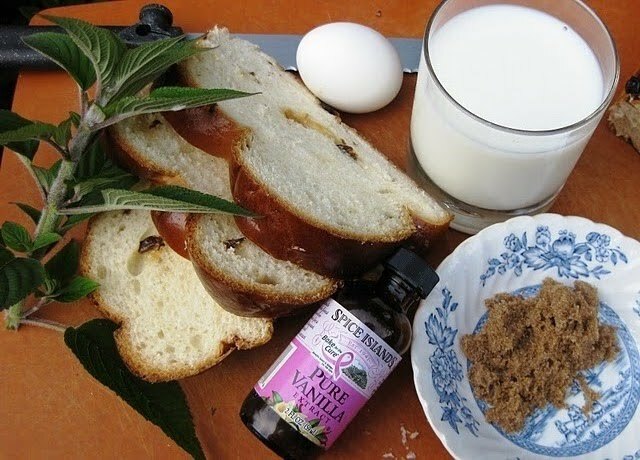 And that is when Pineapple Sage Scented Challah French Toast was born. Welcome to the world! I hope you have a long successful life. 1. Combine 1/4 cup of milk and pineapple sage in a microwave safe container. Microwave for 1 minute and allow to cool. 2. Whisk egg with the remaining 1/4 cup milk, brown sugar and vanilla. 3. Once cooled, remove the pineapple sage from the milk. Add the scented milk to the egg mixture and whisk. 4. 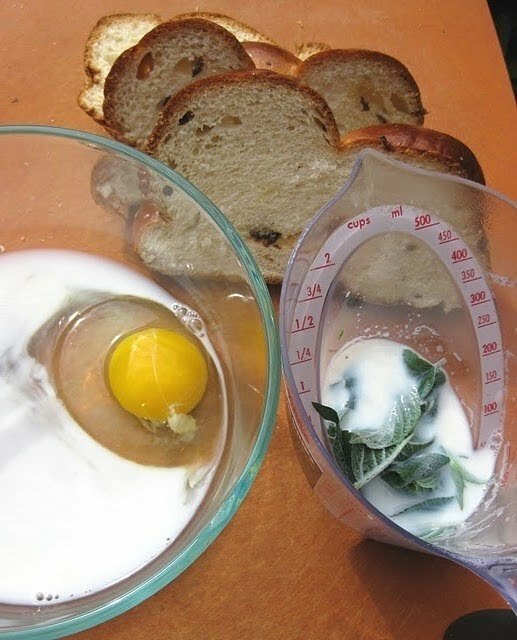 Soak Challah slices in the egg mixture for about 2 minutes on each side. 5. Heat oil in a pan over medium high heat. 6. 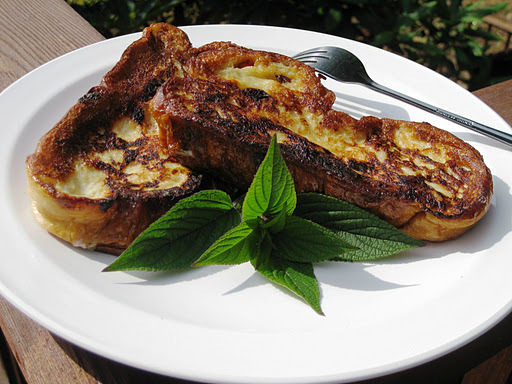 Cook Challah French Toast in high oil for 2-3 minutes on each side.